Snowbody knows fun like Hallmark’s collectible singing snowmen. And now is the perfect time for one of these sweet snowman treats that are fun for kids from 1 to 92. From the simplest classroom treats to the biggest showstoppers, we’ve got something everyone will enjoy making together. These sweet treats are a flurry of fun to make. We used cake mix and pre-made frosting to make “snowballs” for dipping and decorating. Looking for a quick, fun treat for a kids’ holiday party? 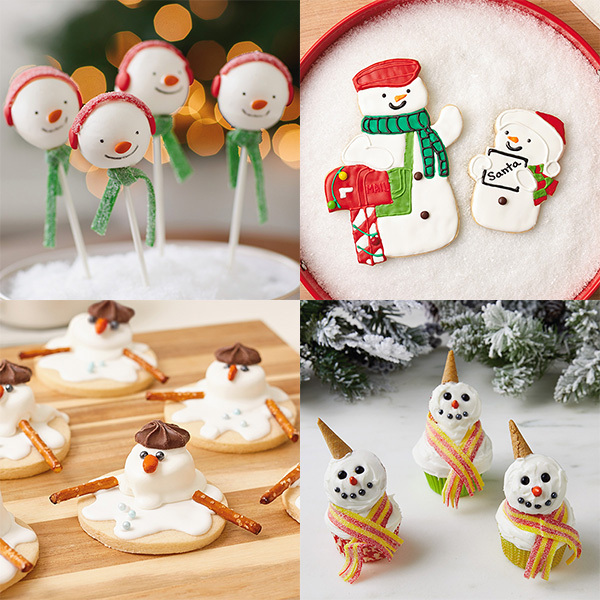 These melted snowman cookies are adorable, and fun to make together. They’re even easier to make if you use pre-made dough or bakery-bought cookies. You don’t need a snow day to make a snowman! These double-decker cupcakes are fun to make and even more fun to eat. And you don’t have to bundle up to decorate them.